I came home the other day after a long afternoon of running errands and this is what my front porch looked like. These shoes mean that I have a house full of kids ... mostly teenagers. These shoes are a sure sign that it is summer and school is out. These shoes mean there is probably no food left in my house. These shoes mean noise and chaos and laughter and music. It means there are probably kids lounging on my sofa, floating in my pool, playing air hockey or watching a movie somewhere. These shoes mean that we are the designated hang-out house today. I paused outside of my door and felt a wave of sadness wash over me as I looked at these shoes ... shoes from a group of kids that have been hanging out at my house for four years now. Some kids have competed on the same teams, some have been in the same classes as far back as elementary school, some have dated and some have broken up. But all have remained good friends over the years. Most of these kids just graduated from high school which means these shoes will be going in different directions this fall when they head off to college. They say you only have 18 summers with your kids. I am on number 18 with mine. This realization tugs at my heart and makes me wonder how 18 summers went by so quickly. Big changes are happening around here – for me and all these kids in my house. My heart knows it and feels it and that’s why the sight of these shoes has me feeling a little sentimental. I know that after this summer, things will never be the same again. This is a bittersweet part of parenthood ... this transition from having them home to watching them leave. My head knows this is a good thing, but my heart ... it just hurts. 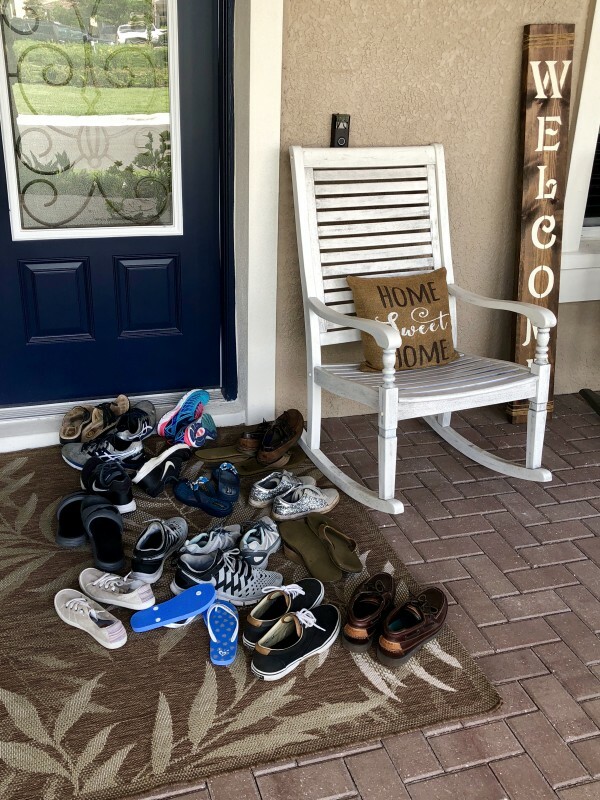 I love having these shoes all over my porch because it means that my children are home. It means that I know where they are and who they are with and that they are all safe. I am very aware that these shoes won’t be here much longer. All too soon these shoes will be scattered across different college campuses and they will be taking their first steps of independence. And I know that all of these shoes might not find their way back home next summer as life takes them on new adventures. These thoughts hang over my head like a dark cloud ... trying to steal the joy from the present moments. I shake my head, trying to force those wistful feelings away. I don’t want the sadness of what is to come to take away the happiness of today. But I am finding that I have to remind myself of that often during this 18th summer because every moment seems bittersweet. But for now, I will embrace these shoes and I will be so thankful for them. I will buy all the snacks. I will welcome these kids into my home and let them crash on my couches. I will soak up the sounds of their laughter and I will make them clean up all of their messes. I will pray that everyone drives home safely and I will love having a full house. But most of all, I will do my best to choose happiness and joy for this moment right now and not let that dark cloud of sadness swallow me up. Because this moment right now ... it is really good. So I am going to treasure this summer of the shoes ... because I know that all too soon those shoes will be running off exploring the world ... and my porch will be empty. I am a wife & mother to 5 awesome kids, 4 on earth and 1 in Heaven. From having triplets, to losing a child to cancer, to adopting – I have experienced about every joy, challenge & heartache of motherhood. 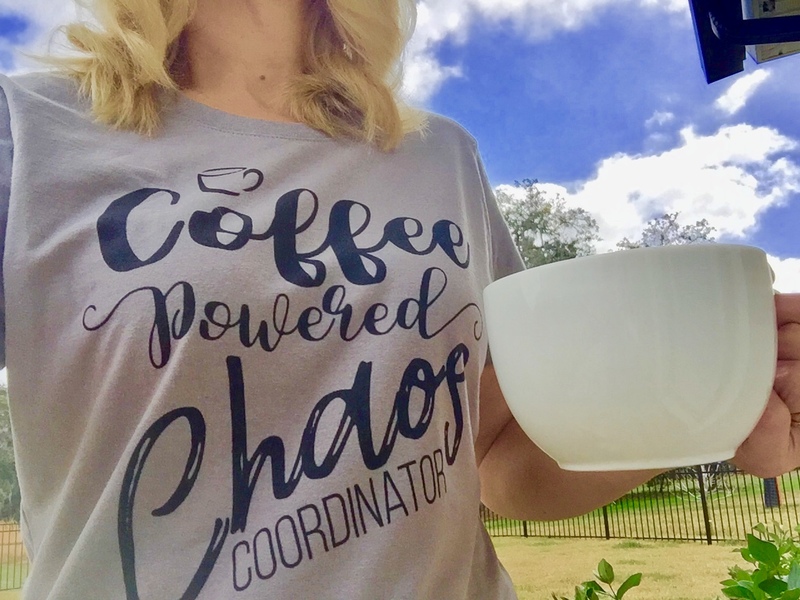 I often write about family, faith, grief & the crazy chaos that is my life.